I found this recipe through Pinterest. It was so easy and simple. We LOVED it!! I just made it last week and my husband has already requested it again! 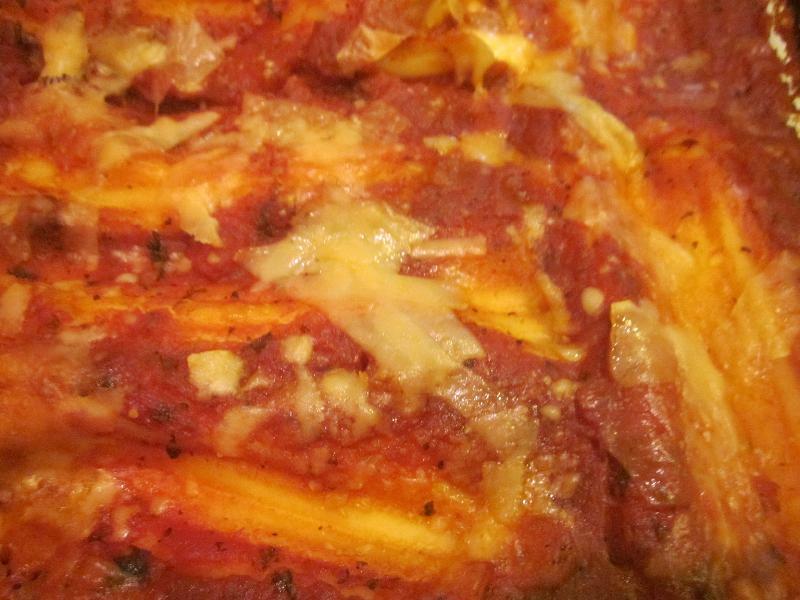 Cook the manicotti in boiling water until finished. Drain the manicotti and rinse it with cold water. In a large bowl, combine the ricotta, mozzarella, and 1/2 cup of Parmesan, eggs, parsley, and the salt and the pepper. Mix well. Pour the remaining sauce over the top and sprinkle with remaining Parmesan cheese. Bake 45 minutes or until it is bubbly. Description: A fabulously easy and fantastic dinner!